A petition has been set up by Levenshulme resident Sue Millichap to stop the excessive and dangerous speeding on Manor Road. “Manor Road is a residential street in Levenshulme, Manchester. 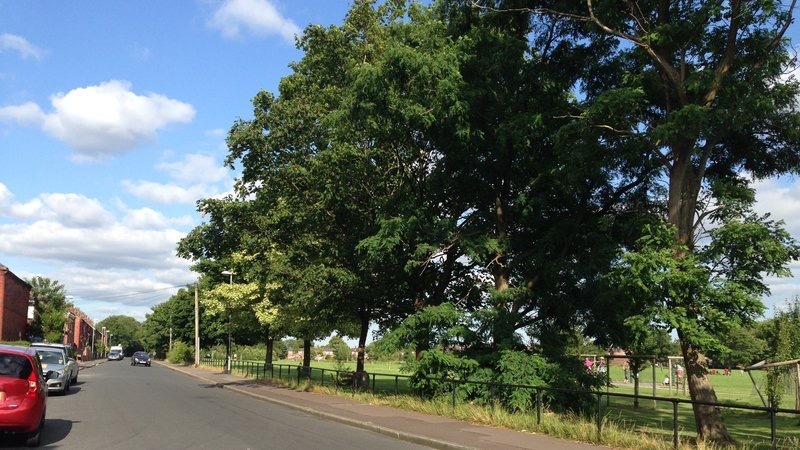 The road runs alongside Greenbank Playing Fields – a large open park where children and families play. Manor Road is very long, wide and straight and it connects two main roads together. As such, drivers use it as a ‘rat run’ and incessant speeding has led to a large number of pet fatalities and near misses with children. Some residents have tried to take action by gesturing to drivers to slow down in order to protect our children and pets but have been faced with abuse and threats. We need speed calming measures that actually work. We want speed bumps that span the full width of the road. We have to act now before a child is killed. Enough is enough. This entry was posted in community, facilities, Planning, politics, transport by Jeremy Hoad. Bookmark the permalink.